Website with logo and marketing materials. 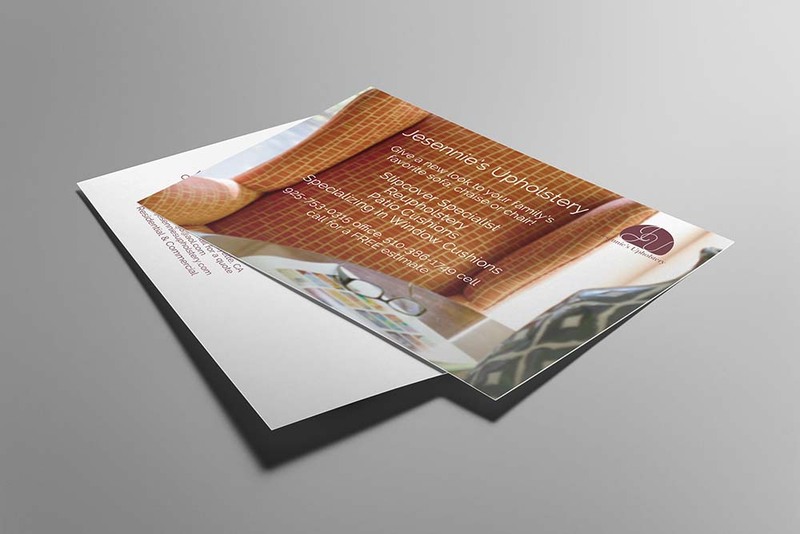 Designing multiple projects for a single client is one of my favorite types of business. 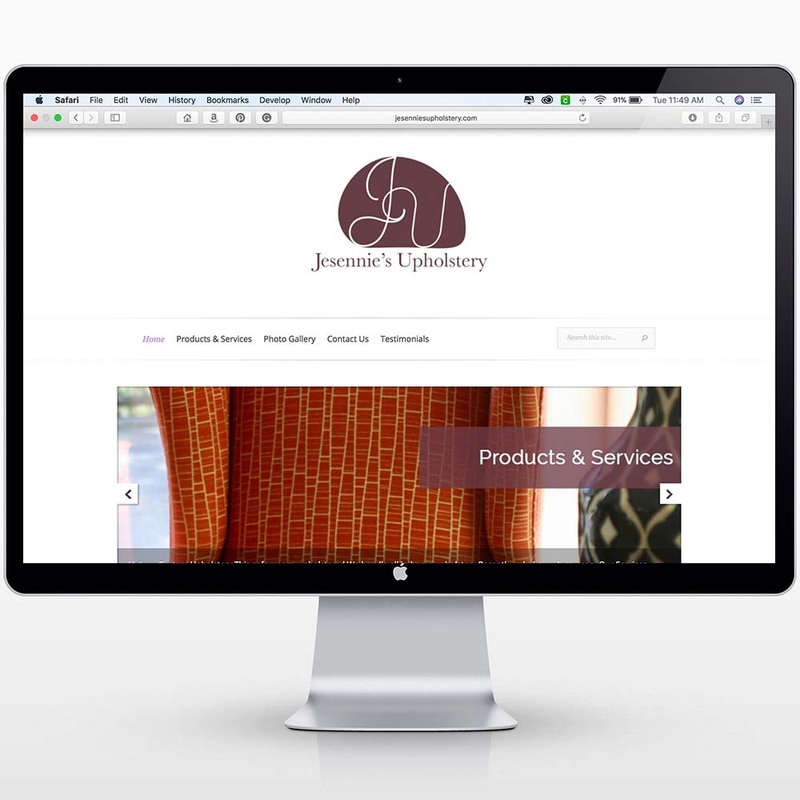 Jesennie’s Upholstery was looking update their image with a new logo, website design, and several new marketing materials. 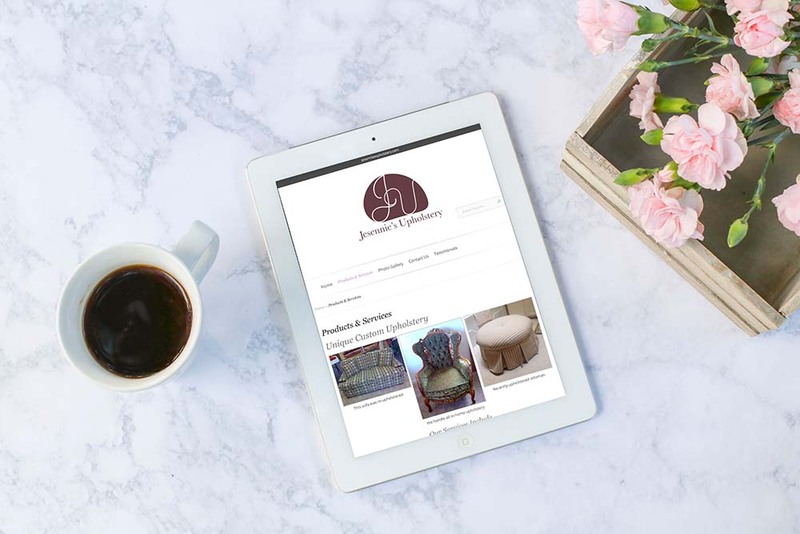 Jesennie’s Upholstery takes your old couch and makes it look just like new. They serve customers in Alameda and Contra Costa County, California. Their website needed to serve two main purposes, first to advertise the type of services they offer and second to highlight their beautiful work through photos and customer testimonials. 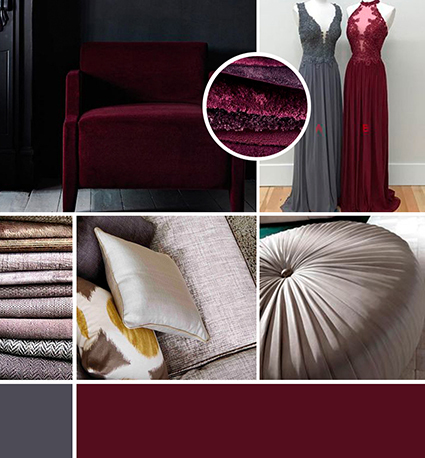 It had been about ten years since Jesennie’s had their website updated. The key problem with their old site was that it could not be viewed effectively on a mobile device. With the design I created, I was able to provide them with a new site that was effective on a desktop and also on mobile devices. I can’t begin to explain the importance of having your website be mobile device ready. If it’s been a few years since your website was last updated, a website redesign is an investment that you will certainly need to consider.